This is the final week for LES MISERABLES on stage at the Arkansas Rep. Tickets are still available for performances through Sunday, April 6 at 7pm. 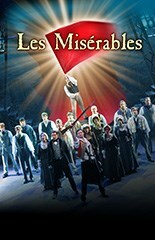 While there is not a performance tonight, there is still a chance for a LES MIZ experience at the Rep.
Join Rafael Castanera, Production Manager and Costume Designer, as he discusses his creative vision for Les Miserables. See the remarkable costumes and wigs from the production and learn how Mr. Castanera developed each character. Performances for the final week of Les Miserables are 7pm on Wednesday and Thursday, 8pm on Friday and Saturday, and 2pm & 7pm on Sunday. See the remarkable costumes and wigs from the production and learn how Mr. Castanera develops each character. Come join The Oxford American magazine at South on Main for “No Place In Particular: A Celebration of Southern Poetry and Music.” Jimbo Mathus will round out the evening with a set of music, following readings from five poets! This event is general admission, with a $7 cover payable at the door. Seating is limited and available on a first come, first served basis. Doors open at 5 pm with poetry reading beginning at 6 and music at 7:45. Poets Carter Monroe, Justin Booth, Verless Doran, R.J. Looney, and Ayara Stein will read from selections of their work. Arkansas Symphony Orchestra co-concertmaster Kiril Laskarov and friends will play an all-Franz Schubert concert at 7 p.m. Sunday at St. Luke’s Episcopal Church, 4106 John F. Kennedy Blvd., North Little Rock. Laskarov, violin, and Tatiana Roitman, piano, will play Schubert’s Sonatina in D major, and join Kate Weeks, viola, Brett Andrews, cello, and Barron Weir, bass, for the “Trout” Quintet. Kiril Laskarov is currently Co-Concertmaster of the Arkansas Symphony Orchestra and Orchestra Director at the Episcopal Collegiate School. A native of Bulgaria, he received a Bachelor of Arts degree from the State Academy of Music in Sofia and Master’s degree from Southern Illinois University at Carbondale. A winner of the 1995 Bulgarian National Competition, Laskarov has appeared as a soloist with the Arkansas Symphony, Las Vegas Philharmonic, Southern Illinois Symphony, Abilene (TX) Philharmonic, and Texarkana (TX) Symphony, and also presented recitals in Little Rock, Memphis, Kansas City, and Dallas. Pianist Tatiana Roitman has appeared as a soloist and recitalist across North America and Europe. The BBC hailed her performance of Gershwin’s Rhapsody in Blue as “formidable…both accurate and with rarely seen joy.” As a versatile artist whose engagements include solo, concerto and chamber repertoire, she believes strongly the only way that “art music” can remain pertinent in the 21st century is by conveying and elevating its emotional quintessence. As a performer of contemporary works, she’s premiered works at the American Composer’s Forum and performed For Don by Milton Babbitt, with the composer in attendance in celebration of his 90th birthday at Tanglewood’s Contemporary Music Festival. She’s performed regularly with the San Diego Symphony, and has been featured as a soloist in Stravinsky’s Petrushka, and on SDSO’s innovative Symphony Exposed Series. A graduate of the San Francisco Conservatory, Kate Weeks currently resides in Little Rock, AR where she maintains her private massage therapy studio and performs orchestral and chamber music regularly with the Arkansas Symphony, the Shreveport Symphony, and the Texarkana Symphony. Brett Andrews received his Bachelor of Arts in Music Performance from Northwestern State University of Louisiana in 2010. At age 15, he was an inaugural member of the Honor Orchestra of America. As a soloist, he has performed with the Natchitoches-Northwestern Symphony Orchestra and placed second in the 2012 LMTA Young Artist Competition. He frequently plays as a member of the Emerald Piano Quartet in recitals across east Texas and north Louisiana and performs as a section cello member in many area symphonies including Longview, Texarkana, South Arkansas and Shreveport Symphonies. Barron Weir began studying the double bass at age 10 at the Music Arts Institute in Independence Missouri with the former Kansas City Symphony Bassist Steven Peters. He attended The UMKC Conservatory of Music for his undergraduate studies where he was finalist in the Midwest ASTA Young Artist Competition. He then continued his studies at Juilliard where he received a performance diploma and the UMKC Music Conservatory. Barron has played as freelance musician in New York, and through the Midwest, has previously been a member of the Des Moines Symphony, and Springfield Symphony. Described as a “quartet with a difference” by the Irish Times, the Dublin Guitar Quartet is a one-of-a-kind classical guitar ensemble that occupies a unique space in the wider chamber music world. It is the first classical guitar quartet devoted to new music. Since its formation at the Dublin Conservatory of Music and Drama, DGQ has worked to expand the limited repertoire by commissioning new works and adapting modern masterpieces from outside of the guitar repertoire. Audiences can expect an explosive, entertaining, and completely novel concert experience. With the help of eight and eleven-string guitars the quartet has created an original catalogue of arrangements by composers such Philip Glass, Steve Reich, Arvo Part, and Gyorgy Ligeti. DGQ’s work has brought the attention of some of the world’s leading composers. Recent activity includes a forthcoming release on Philip Glass’s Orange Mountain Music label, and a new 25-minute commission by New York’s Michael Gordon. The ensemble is also included on a recent recording performing Arvo Part’s Summa. The quartet worked with the composer in making the arrangement and received guidance during the recording process. The arrangement will be published by the composer’s own publisher Universal Edition. In 2010 the quartet were involved in a very special performance of Repentance for cello, guitar trio and double bass by celebrated Russian composer Sofia Gubaidulina. The composer was present as they joined the amazing Russian cellist Ivan Monighetti in a concert in St. Peter’s Church, Drogheda. DGQ’s recording of this work was released on the LCMS label in March 2012. In 2008, the quartet was honored to share the stage with legendary American composer Philip Glass in St. Patrick’s Cathederal, Dundalk. After hearing the quartet’s arrangements of two of his string quartets, the composer described them as “quite beautiful.” In 2010, DGQ performed the entire set of Philip Glass quartets to great acclaim. Other performance highlights include the opening concert at the inaugural Guitar Festival of Ireland in 2004, which included performances by John Williams and Louis Stewart. In 2004, the premiere of Four Guitars by internationally acclaimed composer Kevin Volans was broadcast on RTÉ Lyric FM, Ireland’s leading classical music and arts radio station. A premiere of Tilt by Donnacha Dennehy at the National Concert Hall as part of the 2006 Dublin Electronic Arts Festival (D.E.A.F.) was also broadcast on RTÉ Lyric FM. Dublin Guitar Quartet has been successful in bringing new music to new audiences. It has played alongside rock groups such as The Redneck Manifesto (Dublin) and Final Fantasy (Canada); performing in venues such as Vicar St., Whelan’s of Wexford Street, Project Arts Centre, Crawdaddy, and the Roisin Dubh in Galway. 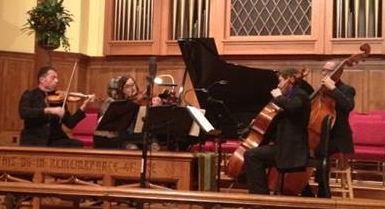 The quartet was also invited to perform at the Crash Ensemble’s ten-year anniversary concert in 2010. The DGQ are also developing the electric side of the guitar quartet repertoire with works like Nagoya Guitars and Electric Counterpoint by Steve Reich, and a forthcoming commission for electric guitar quartet by Michael Gordon. 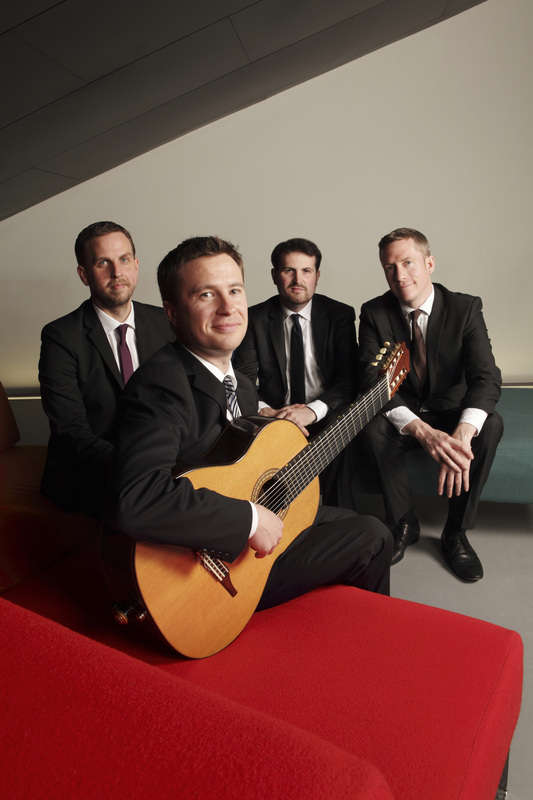 The Dublin Guitar Quartet is supported by Music Network and the Arts Council of Ireland. Tickets are $15, $10 for students. 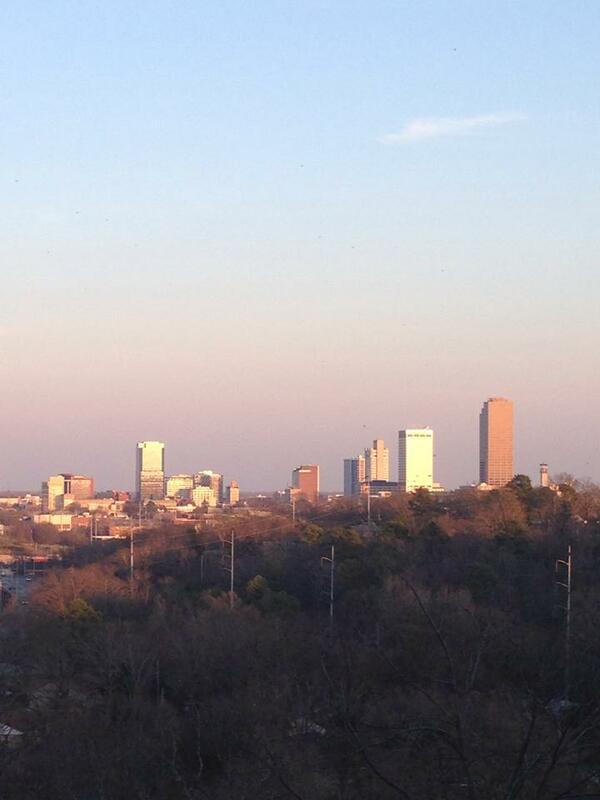 The concert starts at 3:30pm at Christ Episcopal Church, Scott and Capital Streets in downtown Little Rock. 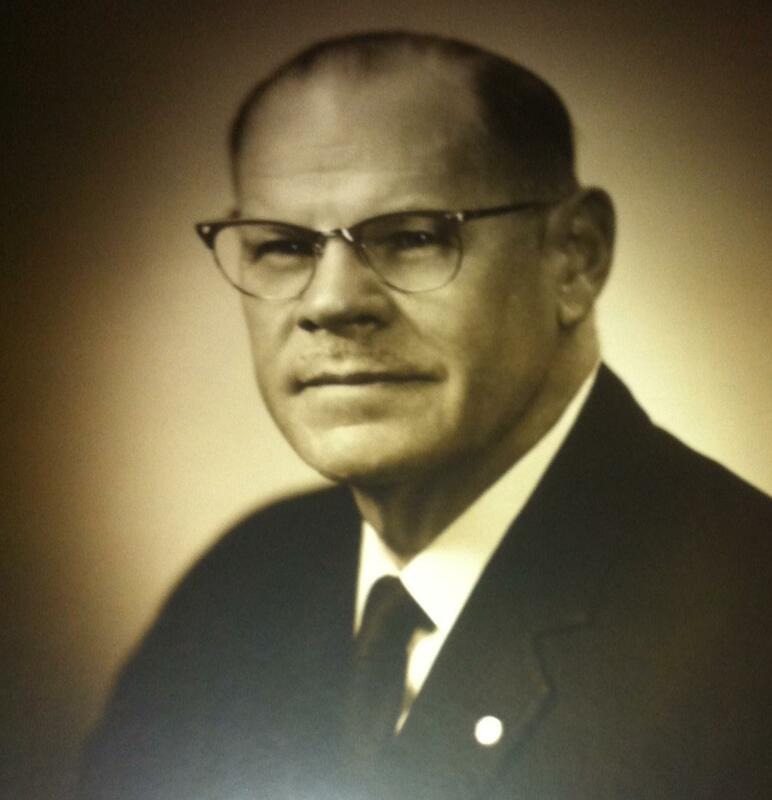 Mayor Knoop died in July 1983. He is buried at Roselawn Memorial Park next to his wife Faith Yingling Knoop. 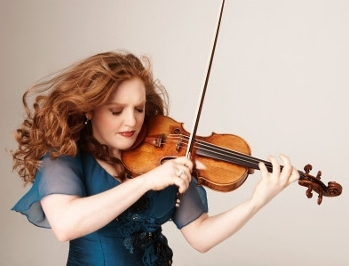 The Point 94.1 and the Arkansas Symphony Orchestra present Rachel Barton Pine and the Arkansas Symphony Youth Orchestra at Wildwood’s Cabe Festival Theatre today. This concert is the culmination of a three-day camp including improvisation workshops and masterclasses. Rachel Barton Pine is known both for her excellent technique and expressive range performing traditional “classical” music as well as for performing as a rock and heavy metal soloist. This genre-bending concert features music from Sibelius, Bruch, and Paganini as well as Van Halen, Metallica and Led Zeppelin! The concert begins at 3pm at the Lucy Lockett Cabe Festival Theatre at Wildwood Park (20919 Denny Road). Kent & Beci Coffey play at one of Little Rock’s newest music venues when they perform tonight at The Undercroft. It is located on Capital Avenue just east of Scott Street, in the undercroft of Christ Church. Kent & Beci are talented musicians and vocalists equally at home with bluegrass and the blues. The concert starts at 7 p.m. The cover charge is $5 at the door. The space is on the campus of Christ Church; the entrance is through the sidewalk-level red door on Capitol Avenue east of Scott Street. For information about the new performance space The Undercroft, contact Rev. Scott Walters at Christ Church at swalters@christchurchlr.org or 501-375-2342.